You are the current high bidder on this lot with a secret maximum bid of %bidPretty%. (%bidBP% w/Buyer's Premium (BP) ), and a Heritage Live bid of %liveProxyBid% (%liveProxyBidBP% w/BP) with +%bidProtection% increments of Bid Protection Note: Your Heritage Live bid is in our system but will not execute until the lot opens for live bidding. No confirmation emails are sent for these bids. Visit My Bids to review your bids. Notice: You are the current high bidder on this lot, but the next highest bid is within one increment. That means that any additional bids on this lot will outbid you. To increase your chances of winning, enter your highest maximum bid. You are the current high bidder on this lot , with a Heritage Live bid with Bid Protection. (Sign-In to see your maximum bid) Note: Your Heritage Live bid is in our system but will not execute until the lot opens for live bidding. No confirmation emails are sent for these bids. Visit My Bids to review your bids. You have a Heritage Live bid of %liveProxyBid% (%liveProxyBidBP% w/Buyer's Premium (BP) ) with +%bidProtection% increments of Bid Protection. Note: Your Heritage Live bid is in our system but will not execute until the lot opens for live bidding. No confirmation emails are sent for these bids. Visit My Bids to review your bids. You have a Heritage Live bid with Bid Protection. 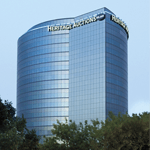 (Sign-In to see your Heritage Live bid) Note: Your Heritage Live bid is in our system but will not execute until the lot opens for live bidding. No confirmation emails are sent for these bids. Visit My Bids to review your bids. Your secret maximum bid of %bidPretty% has been outbid, but you have a Heritage Live bid of %liveProxyBid% (%liveProxyBidBP% w/BP) with +%bidProtection% increments of Bid Protection. Note: Your Heritage Live bid is in our system but will not execute until the lot opens for live bidding. No confirmation emails are sent for these bids. Visit My Bids to review your bids. Your secret maximum bid does not meet the reserve., but you have a Heritage Live bid of %liveProxyBid% (%liveProxyBidBP% w/BP) with +%bidProtection% increments of Bid Protection. Your Heritage Live bid of %liveProxyBid% (%liveProxyBidBP% w/Buyer's Premium (BP) with +%bidProtection% increments of Bid Protection. ) has been outbid. Note: Your Heritage Live bid is in our system but will not execute until the lot opens for live bidding. No confirmation emails are sent for these bids. Visit My Bids to review your bids. (Sign-In to see your Heritage Live bid) Note: Your Heritage Live bid is in our system but will not execute until the lot opens for live bidding. No confirmation emails are sent for these bids. Visit My Bids to review your bids. Aquaman #28 (DC, 1966) CGC NM- 9.2 Off-white to white pages. Nick Cardy cover and art. Overstreet 2018 NM- 9.2 value = $145. CGC census 4/19: 7 in 9.2, 7 higher. From the Black Mask Collection. (Lots 17001-17766) - 6:00 PM Central Time, Sunday, April 28, 2019.